April not only heralds the arrival of the summer season. For accountants, in particular, it’s also the start of yet another tax season. The 15th of April is the annual deadline for the filing of internal tax revenue (ITR), simply known as income tax. It’s a fixed date set by the Bureau of Internal Revenue (BIR), and yet, year after year, many find themselves cramming to finish their filings, or simply forego it altogether. The struggle seems to stem from the complicated process and forms one has to go through just to pay for taxes. Even those who intend to be responsible tax-paying citizens often find themselves discouraged by the bureaucracies of the process. According to the World Bank, it takes 182 hours or 7.5 days to accomplish 20 different tax and other government payments in the Philippines. That’s time better spent with family or doing more productive tasks. Fortunately, in recent years, some clever entrepreneurs have come up with solutions to help taxpayers file their ITRs. Below, we round up the apps you can use to help you file for taxes. Inarguably the pioneer in this space, Taxumo is a web-based platform that allows small businesses and freelancers to file their taxes online. Users may input their income and expenses on the platform, with corresponding documents like receipts, so they may easily track their finances. For example, if a user took a client of the firm out for dinner, he or she can upload a copy of the bill into the system and tag it as part of the expenses for the month. Apart from inputting data needed to generate financial statements, the program also helps users store and retrieve images of bills and other documents for later use. The encoded data is used to automatically fill in BIR forms for a specific tax payment so the user does not need to worry about accomplishing forms offline. Some information needed for different tax payments, such as business name or TIN, for example, are also stored in the system automatically so users don’t need to repeatedly encode these. Users are only charged per transaction, too. The fee for Annual Income Tax Return filing for example only costs P5,000. 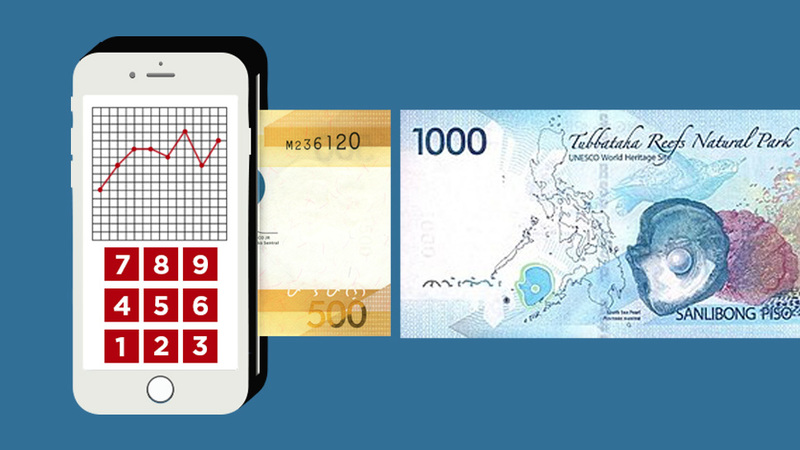 Moneygment is almost similar in nature to Taxumo, onlyÂit’s based on an app. Users can file their expenses and income on Moneygment’s app that may be downloaded by both Apple and Android users. It can be quite challenging due to limited screen space of one’s smartphone but it’s convenient in terms of accessibility. Related documents may also be uploaded on its platform, too. On top of its tax filing feature, Moneygment can also process PAG-IBIG and PhilHealth payments. This way, a freelancer, for example, can just process all of his or her necessary government payments in a single space. Fees are also incurred per transaction. The fee for the processing of monthly tax filings is P650 per transaction. As of 2018, the payment for annual ITR filing can range from P2,499 (without auditing help) to P3,999. Similar to Moneygment, the Tax Whiz App also allows users to upload receipts and bills through its mobile app. Available for both Apple and Android users, the app can also automatically prepare and file BIR forms on behalf of the user, as long as he or she fills out the necessary details on the app. Fees for each transaction is still unavailable though, but the app is already on its soft launch. JuanTax is the onlytax filing platform on the list that is both web-based and app-based, making it the most accessible among all the services. The platform is also the first electronic tax software provider (ETSP) recognized by the BIR. In December 2018, the bureau launched an ETSP certification program to help the agency regulate the growing number of tax filing solution providers online. While the platform functions similarly as all of the mentioned services above, it sets itself apart by allowing users to sync their JuanTax accounts with their respective Xero accounts. Xero is an online accounting and personal finance management service designed especially for small businesses.